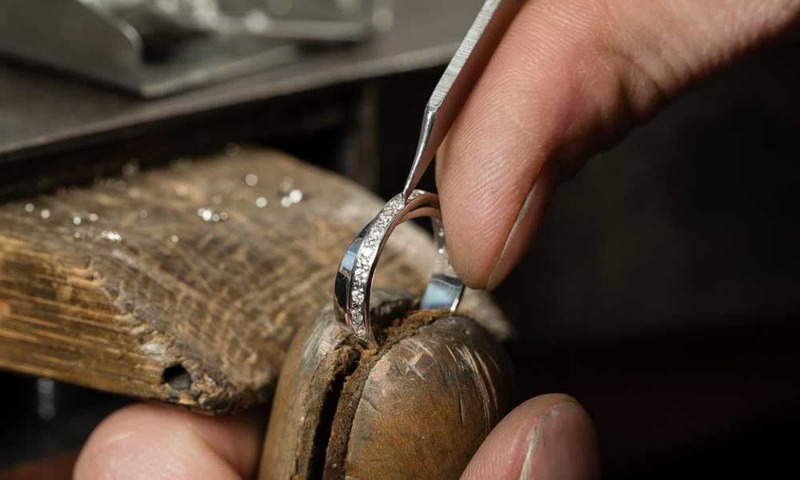 Dragon Workshop’s professional opinion about why engagement rings are so wonderful. Whilst engagement rings are of course beautiful to look at, they also have a fascinating history. If you think you know everything there is to know about engagement rings (colour, clarity, cut, etc.) then guess again. Read our 10 fascinating facts about engagement rings to dazzle you in more ways than one below. Engagement rings are typically worn on the third finger of the left hand, but did you know why? The tradition dates back to the Ancient Egyptians who wore their rings here because they believed this area contained a vein that led straight to the heart. Nearly 15% of all engagement rings are bought in December, with many men choosing to pop the question over Christmas and New Year. If you want to break with the norm, opt for a summer engagement instead. So for those of you who are feigning surprise, you may be telling a little white lie. Whether you have dropped hints, shared a Pinterest board or were actually present when the ring was bought, it’s likely you’ve had some input into the ring choice. This ring cut has plenty of sparkle, so if you’re looking to choose something special, you know you’ve made a safe choice with this ring. Whilst rings have often been given as gifts, they didn’t become an engagement tradition until 1477. This was when the Archduke Maximillian of Austria gave Mary of Burgundy a gold and diamond ring to show his love. This is different to the UK, the US, and France where the tradition is to wear the engagement ring on the left hand. It may only be for a few seconds, but if you want to check if your ring is real, this is a good test. The typical amount is now three weeks, but it can still take a man three months to find the ideal ring! This represented the women being responsible for protecting his heart, and is a romantic idea to give today when you propose. This has grown in popularity in the modern era as more women propose to men! And there we have it! Who knew there was so much to know about engagement rings!